I remember when this happened, but I had no idea what "happened." I have a new respect for anyone working on a rig. I am not one for true story movies, especially when there is senseless life lost. I have never seen, and will never see, Titanic. The only reason I went to see Deepwater Horizon is because my 15 year old daughter wanted to see one of her favorite actors Dylan O'Brien. I'm glad I went. There is nothing entertaining about the movie, but it is powerful. I thought the casting was fabulous...you can't go wrong with Kurt Russel and John Malchovich and Mark Wahlburg is nice to look at. I felt on the edge of my seat most of the movie...even knowing what was going to happen. They did a great job of building tension and suspense. They did go a little overboard on the foreshadowing. I don't know how much of the movie was embellished but I'm sure there was some. Some scenes were pretty hard to watch; they must have gotten that PG-13 rating by the skin of their teeth. 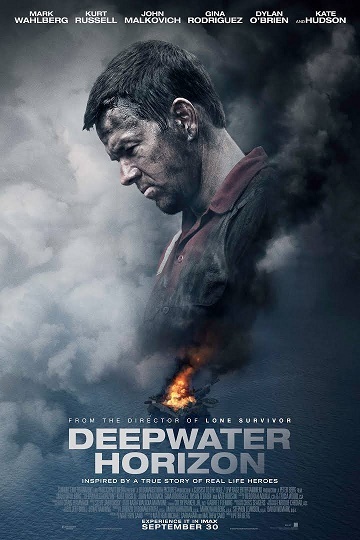 The people involved in the making of Deepwater Horizon gave proper respect to those who lost their lives by showing them as people and then at the end of the movie they showed pictures of the real people who died and those involved in saving so many lives. I'm astonished that more didn't die.